Head over to Mamasource to get a 2-month subscription to SavvyMoney for only $5. This plan regularly costs $30! 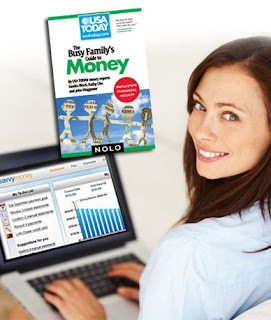 Included with your purchase is a free copy of USATODAY's "The Busy Family's Guide to Money." Pay off your debt in the shortest possible time frame with SavvyMoney. Just enter your account info, set a payoff goal, and SavvyMoney will guide you toward success.